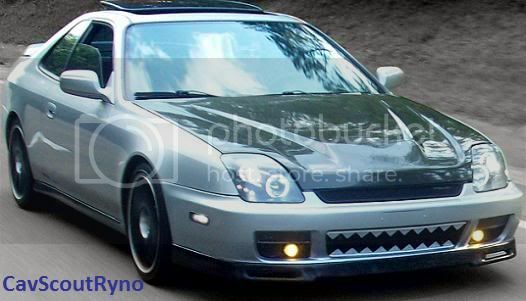 Hi im new to the prelude world, i've just bought a 5th gen prelude but j dont like the front end, does anyone know how hard it would be to convert it to a 4th gen front end? or would it be easier to swap the tail lights on a 4th gen? Iv only got a 2 litre just now but i wanna try drop in a vtec if anyone has any suggestions on either of these they would be greatly appreciated. ok ALL 5th gens hav the H22 2.2liter DOHC VTEC engine unless some1 swapped in something else. the front end conversion of a 4th gen front bumper to a 5th gen has been done but ive seen a pic and tha nose kinda is angled up and it would prob require a good bit of custom fab. i personally didnt like it. hopefully some1 else could link u to the pic. Ok first of all... Not all 5G Ludes have H22's. In other countries with more taxation on cars, there were 2.0L equipped 5G's on order to keep the taxes lower on them. So...yeah. ok well that only answers 1 part of tha question. 1st time ive heard that. You basically answered the 2nd part of the question. It looks mediocre, even when it's done well, and it takes tons of time and custom fab work. ya, and dont even think about a taillight swap. that would mean even more work. Hope that helps, big man. Somehow the pictures of it actually done don't look anywhere near as good as the photoshop of a 4g front on a 5g. Not saying it actually looks good though, the 4g is too different a shape to try and make them work together. Swapping the engine is a relatively simple process (depending on where you are) as factory mounts for the H22 VTEC are easily available and depending on how good a shopper you are you can buy everything needed from one place. I also read somewhere of a B18C out of a Type R Integra being bolted in somewhere in Europe, but have not seen anything else on this. You have a lot to learn then. Not only is the US not the centre of the universe, but the north american notion of every fifth gen Prelude having the H22 is totally incorrect as practically everywhere else in the world it was available with other engines and spec levels. My personal favourite factory Prelude is the JDM Xi, which came with 2.0L SOHC and 15-in steel rims. Yea, Ludey, in case you haven't guessed it yet...The USDM spec of most every import is the shaft...we get the least engine options, least extras, less horsepower.....etc...Basically, US market cars get the short end of the stick.. Everytime. period. i agree but i know why though. think about this. why would a company bring somthing like a type R here when not many ppl buy it? for example. how many SH's have u seen compared to base models? 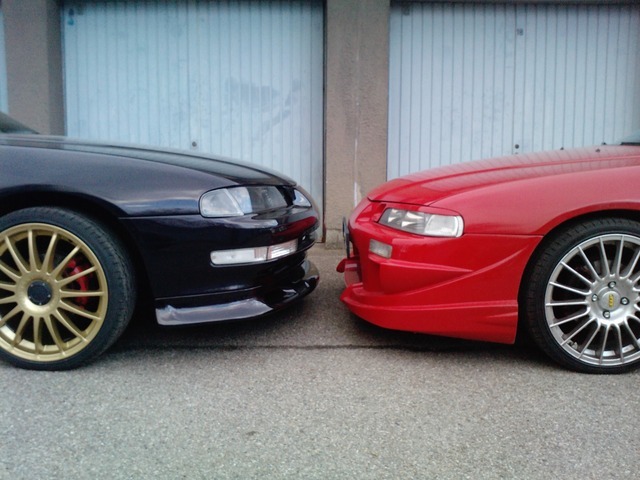 how often do u see integra LS's compared to type R's. i thought at first it was availability but after getting my 06 Si i realized that there were a slew of Si's out there and its only like 2k more than a civic EX. so why bring the type R here when the Si dont sell that well? remember when everyone got happy that we were getting the STi and the Evos here? how many ppl u know have either compared to the more basic models? **** they even make a fast corrola. its called the XRS i think and its 6spd and has the old Celica GTS motor in it? but anyway ur right. sorry 4 the rant i really hate how we get shafted. Personally I wouldnt bother doing anything to your 2L, another year down the line and you'll be cursing all the cash you spent on you 2L and wished you had a VTEC. Save up and buy a VTEC, then mod it. I take it since you are talking about the 2L your from a country that has 4WS on the VTi? There isnt just the engine to change, the VTi has bigger brakes, 5 stud wheels (although not entirely necessary), 4 wheel steering, bigger exhaust, the list goes on........ Plus if you just go and buy the VTi in the first place you get cruise control, something that isnt on the 2L, and if your from the UK heated seats and wing mirrors on 99+ models. Last edited by merlin; 08-10-2010 at 11:32 AM. Lol. Why would you put a b18c5 or b18c-R in a prelude? All of the H22's have more torque, and the same hp, and they are cheaper to buy.. It is really a no brainer IMO. 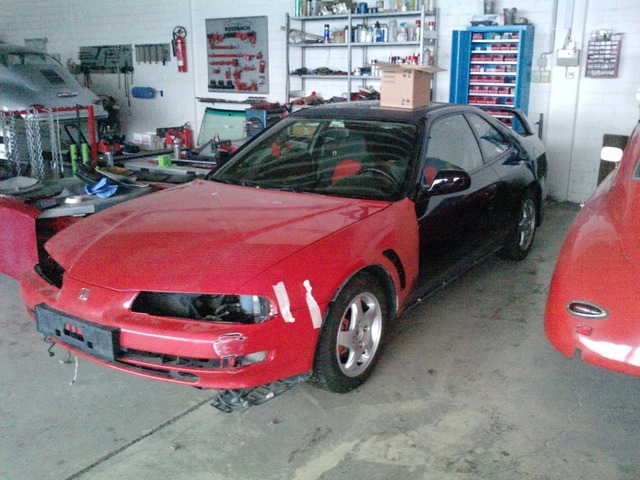 The B series has shorter gear ratio's, which is one of the reasons why an h2b swapped teggy will run a prelude all day. I said it had been done in places where H22s aren't readily available, it wasn't advice to do it. The extra effort in getting everything to work would be horrendous. However the B-series engines have a much larger aftermarket base than the big H, so would quite easily become a massive hp monster if the owner desired. yea thats so true of americans. like sometimes on here i totally forget that a lot of you are from other countries. typical american mindset. Pay no attention to me, my sarcasm switch is stuck on.